Ursula joined the RCD in April 2008, and prior to that worked in various positions in the banking industry. As the RCD’s Business Manager, Ursula takes care of the organization’s bookkeeping, human resources, and communications technology infrastructure. She also acts as the board secretary. 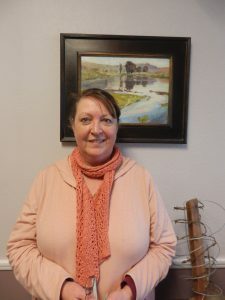 Originally from Connecticut, she has lived in Mendocino County with her family since 1994.